The only thing even lovelier than being in love and winning along with your partner is creating music with them. Why? Because music is long lasting and if it’s really good and the chemistry is just right, then we can have a Tina and Ike Turner situation in our hands. Yesterday the pair unleashed the artwork to a joint they are apparently dropping tomorrow. Titled I Want Something New, the new song is the first ever from the pair who call themselves Rick Jade. In case you were not aware, Priddy Ugly confirmed that he is working on new music with Bontle back in August of last year. 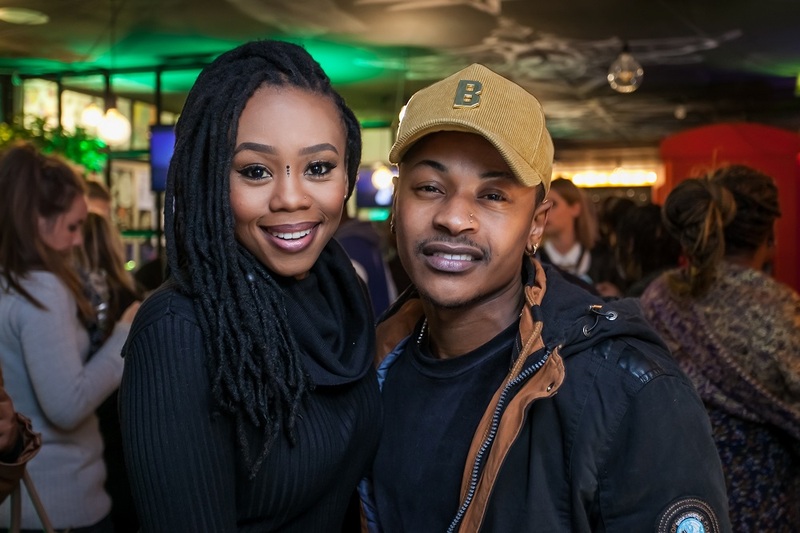 This totally came as a surprise as we didn’t know that Bontle was even interested in pursuing a career as a rapper. “There’s a project me and B are working on, it’s called Rick Jade. My name is Riccardo and her second name is Jade Lee so that’s the new project, that’s the new band”. Bontle took to her social media to share the striking artwork which was created by Mark Draws. “Be brave enough to live creatively. To give birth to something new… @GlobalRickJade #IWantSomethingNew 14 Feb”. The artwork depicts both Bontle and Priddy Ugly seemingly in the garden of Eden. The symbolism is made clear when we see Bontle holding the snake and Priddy has an apple floating above his right hand. Judging from the short clip of the song that was shared, this song is cnces.hilled and has neo-soul and new wave influences. Pre-save I Want Something New here. Looking forward to it? Follow them on social media @GlobalRickJade.